Luca and Daniele Pagano are two young and ambitious entrepreneurs who manage the Italian company Omicron Italia Srl, providing services and technical assistance on biological safety cabinets, fume hoods and CO2 incubators to laboratories, research centres in the cosmetic industry. Omicron Italia Srl was established in 2012 in the province of Pavia, some 40 kilometres from Milan, by two young and ambitious entrepreneurs, brothers Luca and Daniele Pagano, and since its debut it focused on services and technical assistance to the chemical, pharmaceutical and cosmetics business. Other areas of interest can be identified with the food sector, hospitals, laboratories and research centres or universities, mainly located in Northern Italy. Omicron’s mission is that to provide maintenance and consultancy on biological safety cabinets, laboratory and fume hoods, CO2 incubators, suction systems, armoured fume cabinets. Furthermore, the small and aggressive firm can provide its customers with design and full implementation services for complete intake systems, bio-decontamination solutions and flow control plants; finally playing as a reseller of air filters and laboratory instruments. As the Pagano brothers told KosWorld, Omicron’s primary goal is to create a new culture of safety. What are your most successful services today and what will you focus on in the future? Our core business is represented by collective protection devices that can be virtually implemented in laboratories of any kind. And Omicron’s most important goal today is to promote awareness by explaining operators that safety is not just an item of expense, but a source of benefits for professionals manipulating bio-hazardous materials in a wide variety of industrial segments. Recently, we launched a new energy saving solution, dedicated to managers and board members in the personal care sector. In this case savings are ensured by a correct and effective maintenance of chemical and biological hoods, used to avoid any possible form of contamination while managing handling and preparation operations. The technologies we introduce can provide a most reliable barrier against viruses or bacteria, ensuring at the same time the maximum sterility that the pharma and food segments request. By acting on the extraction of chemical hoods it is possible to optimize the expelled air, in line with the intended usage of the instrument itself. Given the average management costs, including filter replacement, energy consumption, plant maintenance, this is no minor result. Therefore this technology allows both to contain the treated material and to reduce consumption. Where do the saving you promise exactly come from, in these aforementioned cases? The project we are today bringing to the market concerns chemical hoods that convey the air coming from the laboratories, avoiding risks for operators, and then blow it to the outside. But once the hood is less used, the amount of air it manages decreases too, therefore generating a significant energy saving, up to 90% of the overall quantity. This also results in the improvement of air integration managing systems, with a great reduction on total costs and an obvious benefit for firms and labs. Generally, these hoods request a constant air flow and Omicron Italia Srl introduced a variable speed drive that reduces air speed by a 90% rate, thus impacting consumption too. We are confident our business can grow steadily thanks to the innovation that Omicron Italia Srl can offer a mature industry, whose air treatment solutions are sometimes more than thirty years old. In fact, when we started, five years ago, we could only rely on a modest customer base, made up of five references or so. Today, we deal with 120 clients at least and chances of growth are foreseeable in cosmetics, chemistry, pharmaceutics. Is Omicron Italia Srl also planning to expand its business outside the Italian borders? First of all, our aim is to concentrate on information and training, in our country, because today these aspects are constantly gaining importance. When it comes to business strategies and marketing policies maximum transparency is mandatory and is in fact turning into an element of success. We surely want to approach larger corporate clients by building upon our skills and business potential, but on the other hand we would like our customers to understand and embrace our philosophy. Of course, we think our market prices are most competitive, but the message is: to take care of devices means to take care of yourself too. As for internationalization itself, it is undoubtedly a part of our future plans, although regulatory issues, that differ from one country to another, do represent a matter of concern and an obstacle under this very point of view. Competitors worldwide are also most aggressive and at the moment our most important target is to consolidate our market in Italy, by partnering up with a wider number of customers and expanding to the Central and Southern regions. Could you also spend a few more words about your service-oriented business model? We are committed to services, it’s a fact, but we can rely on a sound technical expertise too and Omicron Italia Srl also runs a small maintenance workshop of its own. Most of the assistance is anyway directly provided on site because of the large size these systems. Our role is basically that of a trader or a broker, that facilitates the matching between offer and demand by selecting the most suitable brands and models, depending on the request. This does not mean Omicron Italia Srl acts as a mere reseller, because we build upon the skills we developed about chemical and biological hazard. Our aim is to offer support and consultancy, helping end users and channel players meet and completing our portfolio with a wide range of services. What’s the role of cosmetics, exactly, in Omicron’s overall market strategy? We want our cosmetics-related business to grow, both thanks to our consolidated clients and to new prospects, but we are also noticing that awareness is still relatively scarce, when it comes to safety systems. 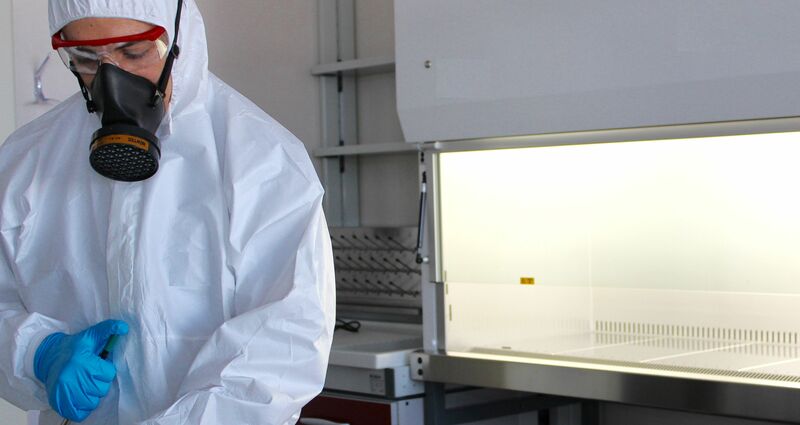 Given the lack of a safety-oriented corporate culture in terms of biohazard and chemical risk management, fume hood and biosafety cabinet validation is often underestimated and training represents, as we said, a very critical part of Omicron’s activity. Our goal is to promote awareness among technical managers and operators in order to boost our cosmetics business and become a leading player in this dynamic, innovative segment. What does training mean to you, especially when it comes to the regulatory aspect? Both the study of international regulations and field tests represent a crucial aspect of our activity, and training is something we are strongly committed to. In our role of managers we attend at least some 10-15 training courses per year, while our personnel attends some five dedicated training initiatives a year. Most of all, our safety protocols are constantly updated and was already revised thrice. It is our most important source of innovation and represent an added value in dealing with clients, also in the cosmetics industry. Training is a major area of investments too, although given the peculiarities of our overall activity, the budget we devote to it is very difficult to estimate. Despite being both around the age of 30, Luca and Daniele Pagano have developed a strong expertise in air treatment and safety devices or measures over the years. They both cooperated with one of the most notable Italian firms in these segments and following to this experience they decided to join Omicron Italia Srl. In fact, the company was run under a different name by their father, who gave birth to it at the beginning of the last decade. Daniele was hired in 2005; and Luca in 2009. Officially, Omicron Italia Srl was then established in 2012 and since then its customer base expanded from five references only to 120. Headquartered in Vidigulfo near Pavia the service and assistance provider is thus experiencing a steady growth. In order to consolidate its presence in the chemical and cosmetics arena Omicron Italia Srl is always looking for new and innovative ideas to enlarge its portfolio of services and its offer. As managers Luca and Daniele Pagano told KosWorld, the company is now working on a patented project that, in their opinion, could revolutionize the entire chemical hood scenario, but, at the moment, further details about this operation cannot yet be disclosed. Furthermore, another area of interest could be represented by stocking and safety cabinets for chemical products and gases. 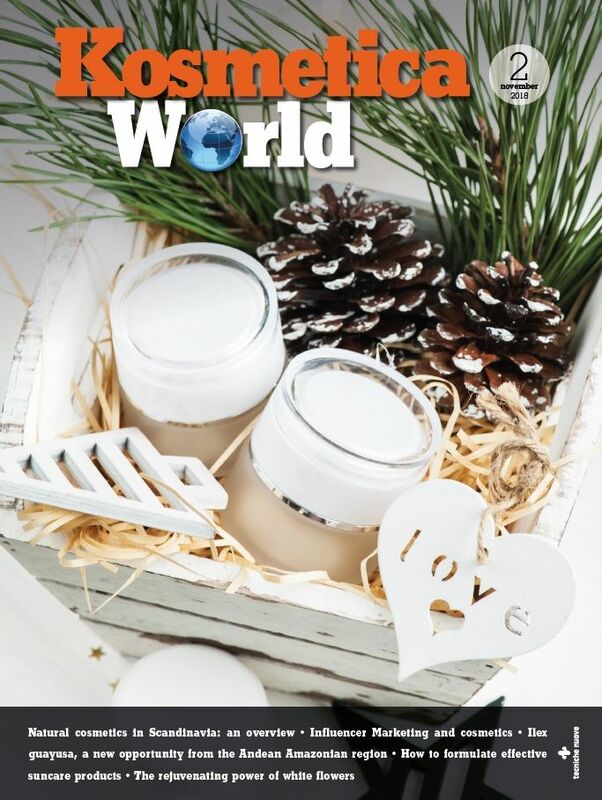 «Our goal», as the two Pagano brothers considered, «is to bring the market some fresh air of innovation, promoting a safer approach to hoods in the cosmetics industry, in order to become a reliable high-quality consultancy provider, building upon the expertise that we both have been developing over the years».